As tradition dictates we will enter 2017 by setting a few resolutions which we may or may not stick to. 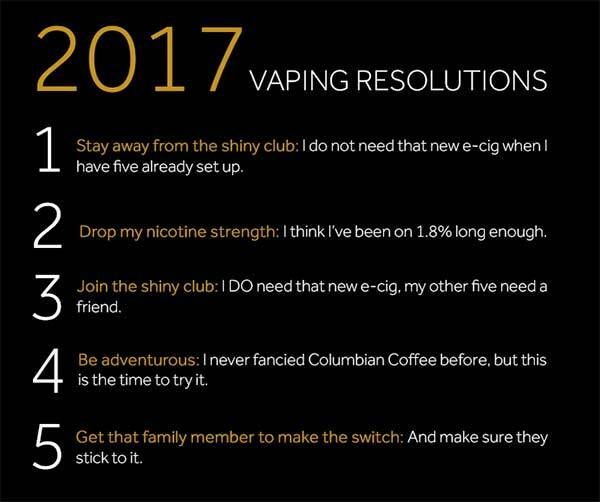 Here’s 5 resolutions we’ve come up with in reference to vaping. You may agree with them you may disagree but we hope you all have an amazing New Year and we hope to hear from you in 2017. 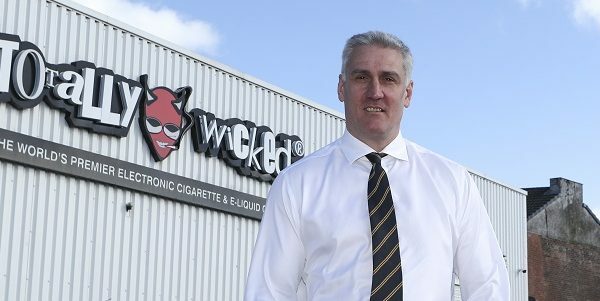 1 – Stay away from the shiny club: I do not need that new e-cig when i have 5 already set up. 2 – Drop my nicotine strength: I think i’ve been on 1.8% long enough. 3 – Join the shiny club: I DO need that new e-cig, my other five need a friend. 4 – Be adventurous: I never fancied Columbian Coffee before, but this is the time to try it. 5 – Get that family member to make the switch: And make sure they stick to it. Do you have any resolutions of your own? Let us know in the comments below.